See why BYO Booth is the #1 choice for Hashtag Printing worldwide! 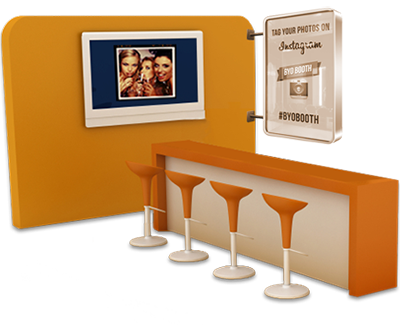 BYO Booth lets you create event-based Instagram & Twitter hashtag printing stations, so users can hashtag photos on their mobile devices in order to print and display them in real time at your event. Hashtag Printing Software. What is Hashtag Printing? Print hashtagged photos from Instagram, Twitter & SMS. 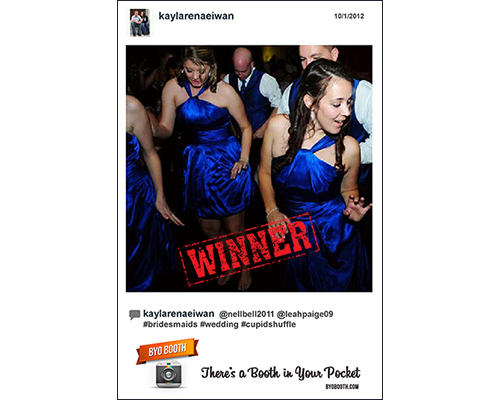 Create Instagram Flip Books from videos. Watch Folder support for roaming photographers. 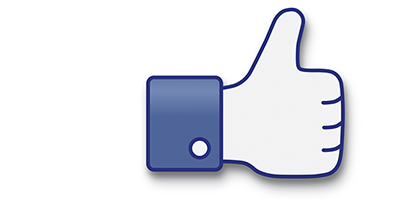 Upload incoming photos to Facebook or FTP. BYO Booth allows you to crowdsource your event photos. It's simple. Just pick a hashtag and tell your guests to tag their photos when they upload them to Instagram & Twitter. BYO Booth will monitor Instagram & Twitter for photos (&videos) matching that hashtag and will automatically download and print them with your own custom template and branding. Learn more about how to crowdsource event photos. 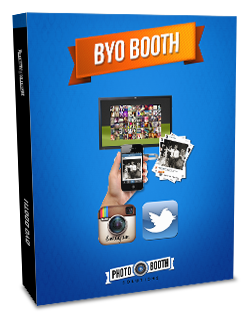 BYO Booth is the go to Hashtag Printing Software to make it easy for guests at your event to share photos. Crowdsourcing event photos enables everyone who attended to easily share their experience with colleagues. You can even create a Photo Mosaic Display with Hashtagged photos. Give guests the instant gratification of seeing their photos displayed moments after they are taken and monitor attendees tweets in real time at conferences and trade shows. Learn more about social media slideshows. Instagram allows users to upload 15 second videos. BYO Booth will monitor and download these videos just like photos. 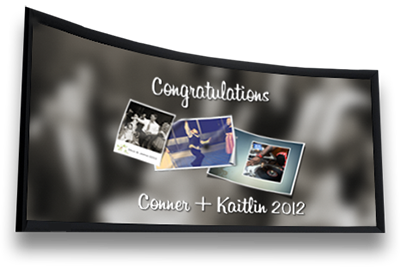 The videos are displayed in the slideshow along with everyone's photos and will play inline. Print Instagram videos as a still or as a flipbook. Learn more about Instagram Video Support. Instagram videos can also be printed as flip books. Take these 15 second videos and print them frame by fame to create an animated flip book. Print using your standard 4"x6" photo printer or a 8.5"x11" printer with a business card cutter. Cut, staple and voila. Instagram flip book. Add interstitial ads to your slideshows. 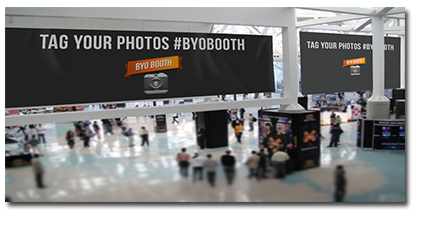 BYO Booth allows you to add commercial advertising at your event or location. Grab passersby attention with advertising images or videos shown at a timed interval. Having your key messages displayed continually via display advertising will get the attention of people who were not planning on stopping by. Add photos from every networked source at your event via a shared folder. 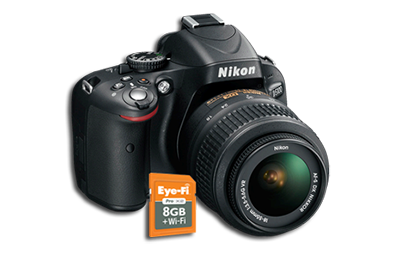 This includes cameras with Eye-Fi cards and even other photobooth software. 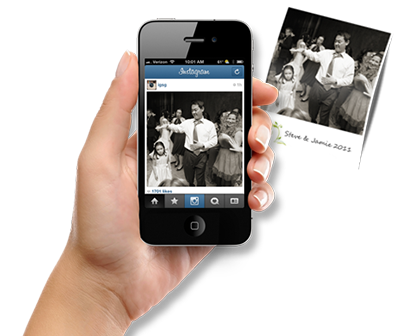 This allows you to combine your photos with everyone's mobile photos to document the event from multiple perspectives. Learn more about Watch Folder Support. Drive traffic, get more "Likes"
BYO Booth can also automatically upload photos to a Facebook page in the background, giving you another way to collect all of the photos from your event and gain more "Likes" at the same time. Learn more about our Facebook Photo Booth. By encouraging guests to post to Instagram & Twitter using your hashtag, you are building your social media footprint. For every post with your hashtag, all of that user's friends will see your brand and the social media outreach is exponential. Contest mode allows you to define a winning ticket template that gets printed a certain percentage of the time. You can use this to offer an incentive for people to tag their photos in order to win a prize. Create a stir around your booth by implementing contest mode. Users can win prizes with a special golden ticket that that specifies the winner. This will lead to more people at your booth for longer periods of time. Learn more about Contest Mode.